You are cordially invited to the grandest wedding and debut exhibit in the South. CELEBRATIONS! 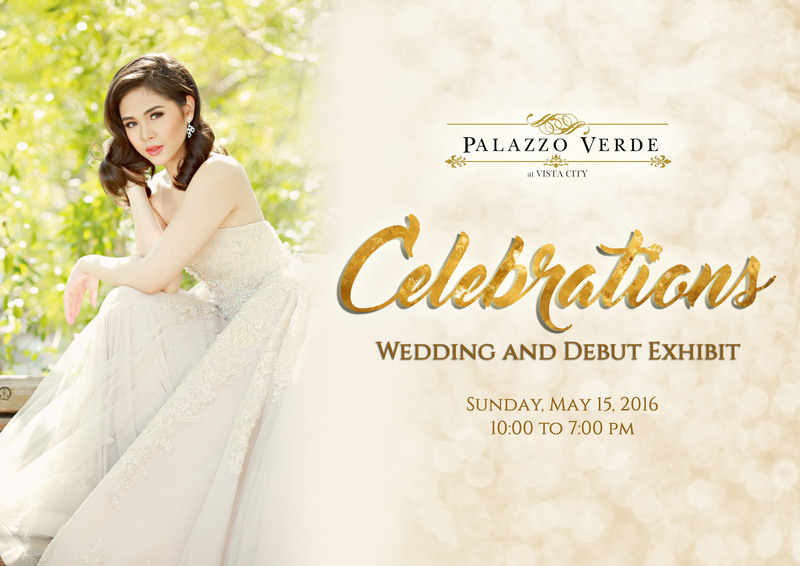 Wedding and Debut Exhibit will be on May 15, 2016, from 10 a.m to 7 p.m at the Victorian 1 and 2 and Byzantine 1 Halls of Palazzo Verde. Together with the country's top wedding suppliers, this event will give soon-to-wed couples and debutantes all the options they need to prepare for their grand event. Book your grand wedding or debut celebration with us and get exclusive offers. Email us at info@palazzoverde.com.ph or visit www.palazzoverde.com.ph.